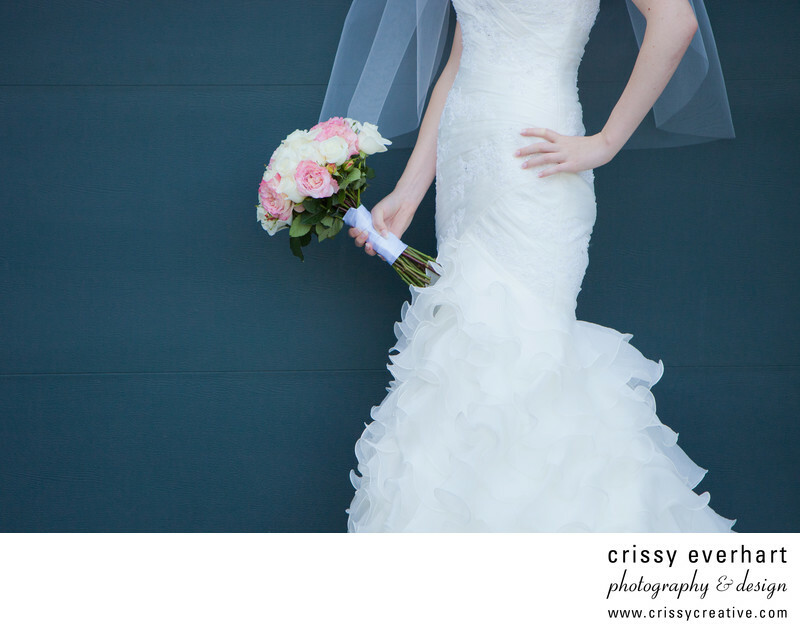 Bride in white, ruffled wedding dress against a blue garage door, holding pink and white bouquet of flowers. Cropped tightly, from bust to ankles, showing off the dress details. Location: 32267 Clubhouse Way, Long Neck, Delaware 19966.